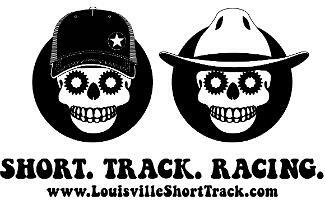 WHAT IS SHORT TRACK MTB RACING? Short track MTB racing takes place on a ~3/4 mile trail and is a cross between a criterium, cyclo-cross and single-track off-road racing. Racers do multiple laps on the short 3-5 minute course, with races running in length between 5 minutes for kids up to 30+ minutes for the Advanced category. The short track MTB course is designed to be fast, fun and very spectator friendly. - Day-of-race registration: 4:45pm to 10 minutes prior to your start time. Juniors & Kids must have parent/guardian present to sign release. - This is not a USA Cycling event - you do not need a USAC license to race. - Prizes for Top 3 in each category provided by the weekly shop sponsor. - To determine OVERALL POINTS winners for the Series, we are taking the BEST 4 OF 5 races. All racers will receive a race plate upon initial registration. These are the only race plates that will be honored by our officials. Don't lose it. Ever. - All riders (or parents) MUST sign a liability release form EACH WEEK to race. - During races, the course is closed to racers not in the active race category. If time allows, racers will be able to pre-ride the course in between race heats (only after all racers have come through on their last lap). - Dogs are allowed, but must be leashed. Same goes for cats. - No CX bikes please, and thank you. - We race rain or shine. Weather updates/cancellations will be on our Facebook page. - Come hungry. Not only for racing but also for food...Blackrock Grill has amazing burgers and will be out each week making the place smell good. - Keep it fun...and be sure to support our sponsors!